Bauchi State Command of the Nigerian Police has paraded alleged prime suspect of the Bauchi birthday party violence which claimed four lives about two weeks ago. Parading the suspect at the Police Command in Bauchi, yesterday the Police Public Relations Officer, Kamal Abubakar, said the suspect would be charged to court soon. According to Abubakar, â€œyou may recall that two Sundays ago, the Bauchi Command arrested 76 suspects, except the prime suspect in connection to the birthday tragedy. â€œThe Command has since collaborated with other sister agencies towards ensuring that peace and order is maintained in the area and equally bring perpetrators to book. 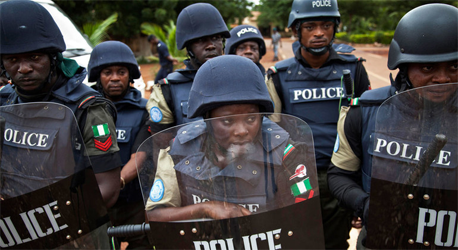 â€œThe prime suspect, Patrick Zumunta, 26, ran away and hid in Jos. However, following credible intelligence, operatives attached to the State Intelligence Bureau intercepted and arrested the suspect on his way from Jos to Bauchi. â€œThe suspect is currently being interrogated at the State Criminal Investigation and Intelligence Department, SCIID, after which he will be charged to courtâ€. Reacting, the suspect said it was a coincidence that the clash occurred on the night of his daughterâ€™s birthday, saying the clash had no connection to the birthday party he organized for his two years old daughter. According to him, â€œI am not a criminal; I repair shoes and do electrical works. I am sorry about the death of four people, including the many injured people on the night of my daughterâ€™s birthday.